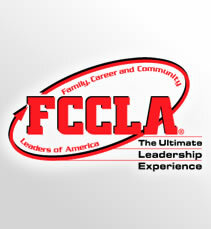 If you are interested in joining a club, please contact the office for information on how to join. TSA chapter is one of the most active and involved student group on campus. The TSA fosters personal growth, leadership and opportunities in technology, innovation, design and engineering. Members apply and integrate science, technology, engineering and mathematics (STEM) concepts through co-curricular activities, competitive events and related programs. Through TSA, our students gain the 21st Century skills required by today’s forward-thinking employers. The Future Farmers of America club at Boone meets every week. 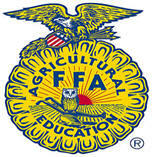 The FFA has many community projects, career development events and leadership training opportunities. Our students will also visit Agricultural businesses and have guest speakers come to share their Agricultural expertise. MATHCOUNTS is a national competition program that promotes middle school mathematic achievement. MATHCOUNTS mission is to increase enthusiasm for math in middle school. Family, Career and Community Leaders of America is part of the Family and Consumer Sciences Education program. It is the way for students to turn classroom topics into real-world, youth-directed action. This nationwide organization has approximately 220,000 members in more than 7,000 local chapters in all 50 states, the District of Columbia, Puerto Rico, and the Virgin Islands. It is the only in-school student organization with the family as its central focus. BMS 7th and 8th grade FACS students are eligible to participate and may continue through grade 12.